I need a few misc. early Locomobile parts. If you also need Locomobile parts of any vintage or type, please post here. Hello Mickey, What year and Model is your car? That will help us to help you. Do you have the bulk of the big stuff, engine, trans., chassis? The later Locomobiles actually did have an air pump to provide pressure to feed the fuel system to the carb. Some cars were fitted with a Kellogg air compressor that could be engaged to help with flat tire repairs. Pictures of your project are also helpful. Where are you located? Lets see if we can help you out. I would like to source another of these fuel pressure regulators. Have you got a spare or know of one? 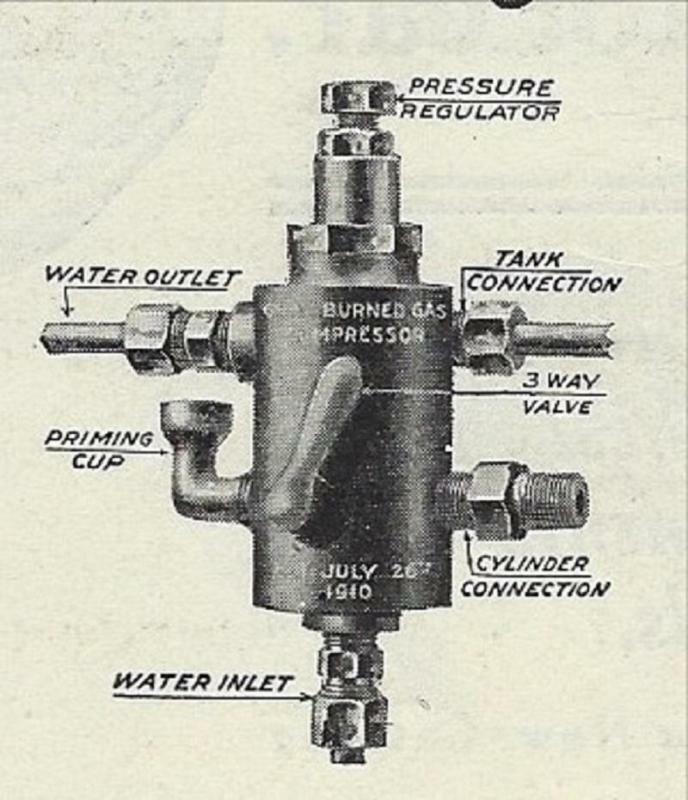 Here is another view from original literature of the fuel pressure regulator. I am looking for any Locomobile or literature collector, that may have a duplicate or original of the 1909-1910 Model 30 and 40 instruction book. I am missing some of the middle pages in my original and would like to make copies so I have the information I am missing. Please look in your literature collection and see if you can help me out. See the attached picture of the cover.